Let's be honest, technology is amazing. You can now increase efficiency levels by having much work done in very little time. Keeping notes of your plans and ideas is a great way to be organized and have clear goals to achieve. But the disadvantage of writing down notes, thoughts or ideas is that it is time-consuming. In a world where efficiency is very important if you want to be successful, every second count. So, this means that the time you spend writing notes could actually be used to do various other productive jobs. Not to worry though, because as usual, technology saves the day. With speech to text software, you can translate voice to text by using your voice to create notes or documents which will save you lots of time and therefore, increase your efficiency levels. Voice to text software work with speech recognition technology that converts spoken words to words to written words. That is, when you speak or record a voice message, this software convert voice recording to written words with no extra effort from you. Which means you can make notes, edit documents or send memos just by talking and still be working on your project or making your lunch. It’s worth mentioning, that sometimes you may face the situation, where you need to transfer someone else’s spoken words into text. For example it may be a speech form a movie, a video lecture or an online video. You can use these apps in real time, but what if you need to rearrange what is said in the video to shorten or change the final text? In this case, a great solution would be to use Movavi Screen Recorder Studio - a convenient and fast screen capture program. SImply record the speech, edit the video the way you need to in the built-in video editor, and then turn the clip into text with a speech-to-text apps. And now that you know what voice-to-text software is and how it works, this is a list of the very best speech-to-text software. Everyone from students to workers can use this software as it is one of the best voice-to-text apps. Designed for PC, this program helps you get more work done as you can dictate homework, send out emails, write down reminders and so much more just by voice. On your computer, Dragon Home integrates your specific voice and helps in the transcription of your voice messages to text with 99% accuracy. You can create voice commands and use them to access and control your computer’s actions. 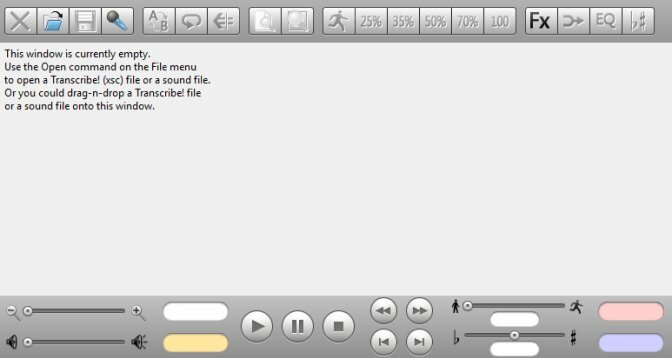 The software adds these voice commands to editing features to ensure that text is given accurately immediately you provide the speech with punctuation and formatting options you choose from the tools the program offers. 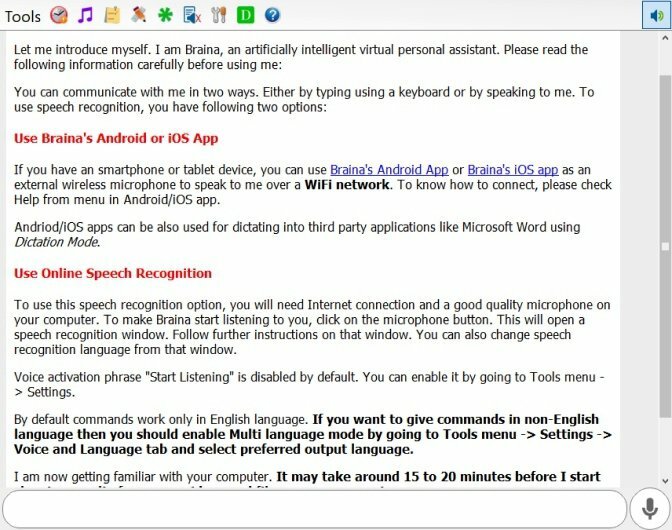 Dragon is compatible with both Windows and Mac and includes commands which allow you to be able to format and edit all text just by using your voice and also includes custom commands for computer actions and file transcription. IBM is easily among the best talk-to-text apps with its powerful real-time speech recognition. This software translates audio from 7 languages and does it in record speed and you can customize it to suit you by improving its accuracy levels and note the kind of content you are more inclined to use. The use of the audio does not matter with IBM as it transcribes various kinds of audio not regarding if it is some simple reminder or analytics of a subject. This program works even with low-quality audio to identify the topic of discussion and is able to identify different speakers in your audio and convert the audio to text as needed. It has a simple interface to work with and is easily navigable saving you time and energy in getting your work done for you and in the fastest possible time. 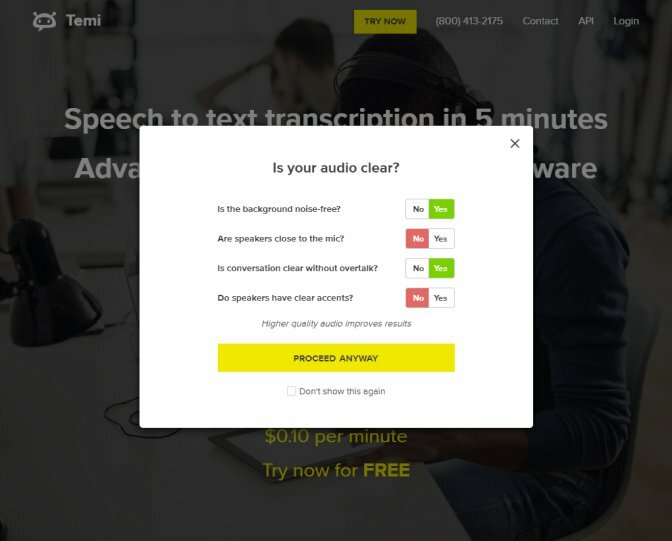 With a free trial, Temi brings an array of features as an audio-to-text converter. It works as an advanced speech recognition software and accepts audio and even video files of any type then uses automated software to convert your speech to text in five minutes. With Temi, you can make and edit your files and share them after with the availability of transcripts. These transcripts come with customized timestamps and identification with speakers. The best part is that you can save and export your transcripts from the app to MS Word, PDF and many other formats, depending on your preference. You can also get the transcripts delivered to your mail. The quality of the saved transcript though depends on the quality of the audio so to get good quality transcripts, you need a good quality audio. Temi also comes with an editor that helps you to edit your saved transcripts before exporting it out of the app to keep as your own forever. Braina Pro is the ideal voice to text app for anyone with its clean interface and concise features. This program has the ability to recognize and dictate speech in over 100 languages. This program also has a mobile app so that you can work with just your voice, away from your computer. Braina allows you to perform and complete multiple tasks like set reminders and alarms, read eBooks aloud, search for files on your device and so much more. It works like a personal assistant, just a virtual one that is powered by artificial intelligence. Braina has the ability to record and save your audio and you can edit later. The software also supports the built-in microphones of computers so that you can record clear and quality audio and get your files ready to be transcribed to text. All this takes a few minutes to complete and you have your transcribed file. Also, Braina comes with features that allow regular updates to the software, premium support, the ability to search for files and folders and save commands in English and many other languages. If you want to transcribe audio or video files with little to no effort, Transcribe is the answer you’re looking for. To increase your efficiency levels and save time on work, Transcribe works in 3 different ways: by converting speech to text with automatic transcription, by converting your speech to text through accurate dictation, by transcribing speech to text using the built-in player and editor. All these methods were put in place to help with a seamless flow of audio or speech to text. This app supports over 80 languages from all around the world and also allows you to import files from places like Dropbox. Transcribe offers editing features to your transcribed file by exporting the raw text to a word processor so that you can edit and format the file to your preference. Transcribe automatically saves every keystroke and ensures that your work is secure and kept private for you. These programs are sure to help you save your precious time. 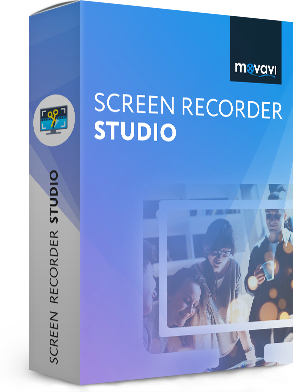 But in case you need to turn someone else’s recorded speech into text, you may need handy screen capture software, such as Movavi Screen Recorder Studio. This powerful end user-friendly program comes with a built-in screen recorder and video editor. Record and edit your videos to high quality and then transcribe the video to text for your use. Download the program to Increase your chances of getting work done and improve your success levels.